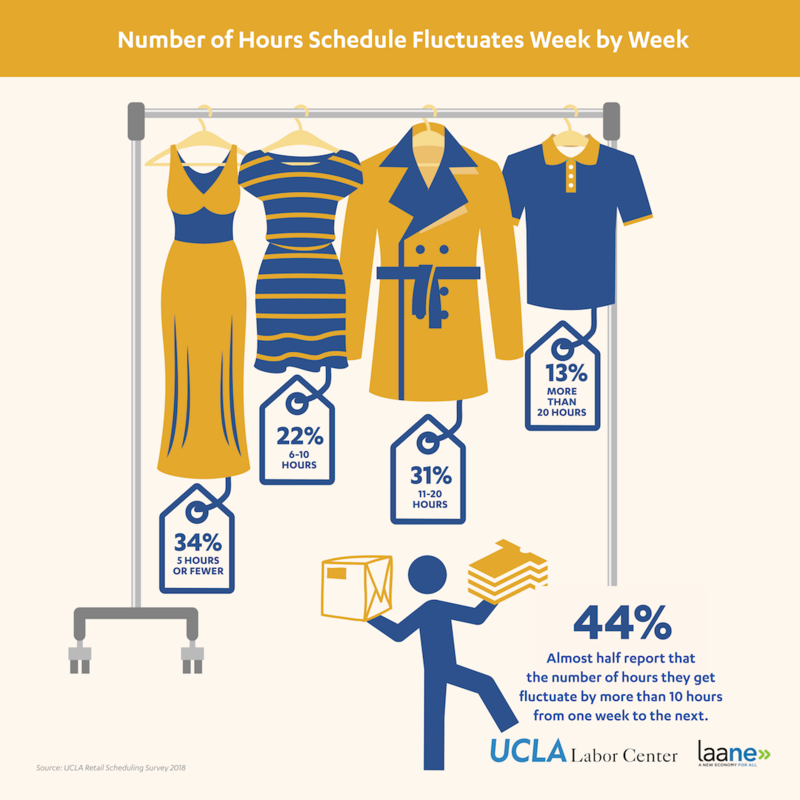 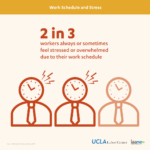 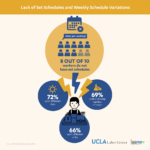 A new UCLA study finds that 8 in 10 workers in the Los Angeles retail sector lack a set work schedule — their work days, shift times, and number of hours can vary drastically each week. 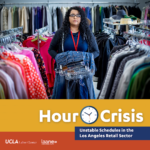 Hour Crisis: Unstable Schedules in the Los Angeles Retail Sector is the first comprehensive study conducted in Los Angeles that details the adverse impacts of unpredictable scheduling on the city’s 140,000+ retail workers. 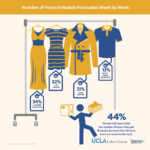 Notably, retail is the second largest employment sector in Los Angeles County, after the healthcare industry. 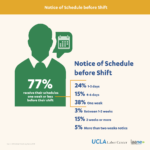 77% of retail workers receive a week or less notice of their schedules, and the majority face last-minute scheduling changes, including cancellation, after their hours have been posted. 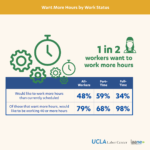 Though part-time work and nonstandard hours are common in the retail industry, half of retail workers desire more hours, with the majority wanting 40 hours or more each week. 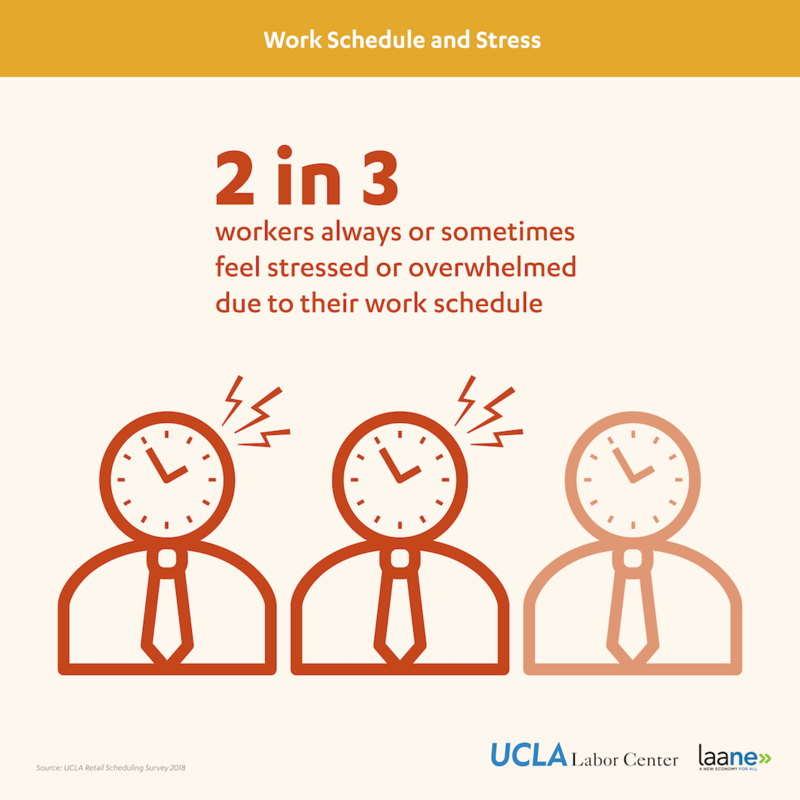 An unreliable schedule essentially translates to unstable income. 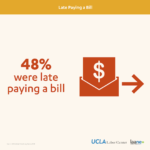 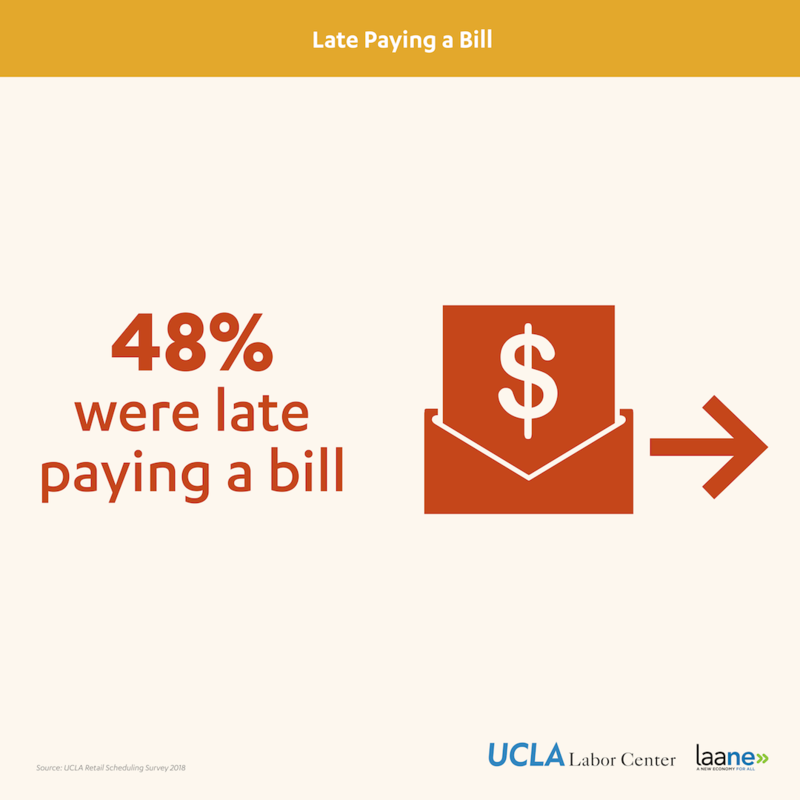 1 in 2 workers are late paying bills, and almost half of workers supporting children have difficulties finding and financing childcare. 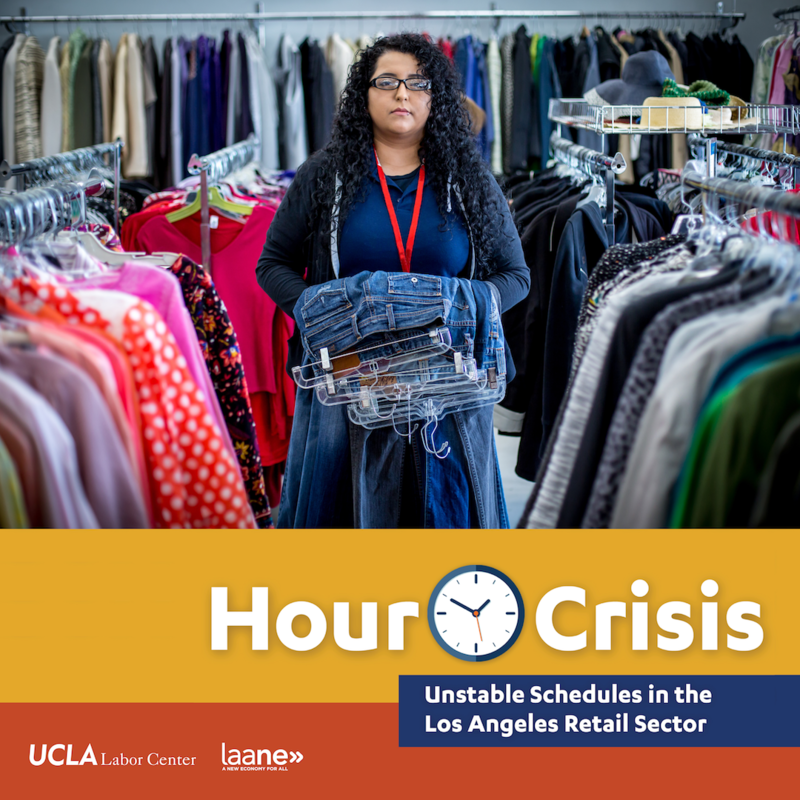 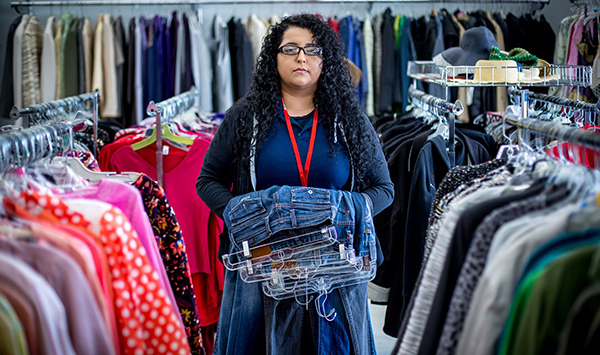 The report notes that recent local and statewide strengthening of workers’ rights protections, such as the minimum wage increase and paid sick time, are rendered irrelevant for many retail workers due to their unstable work schedules. 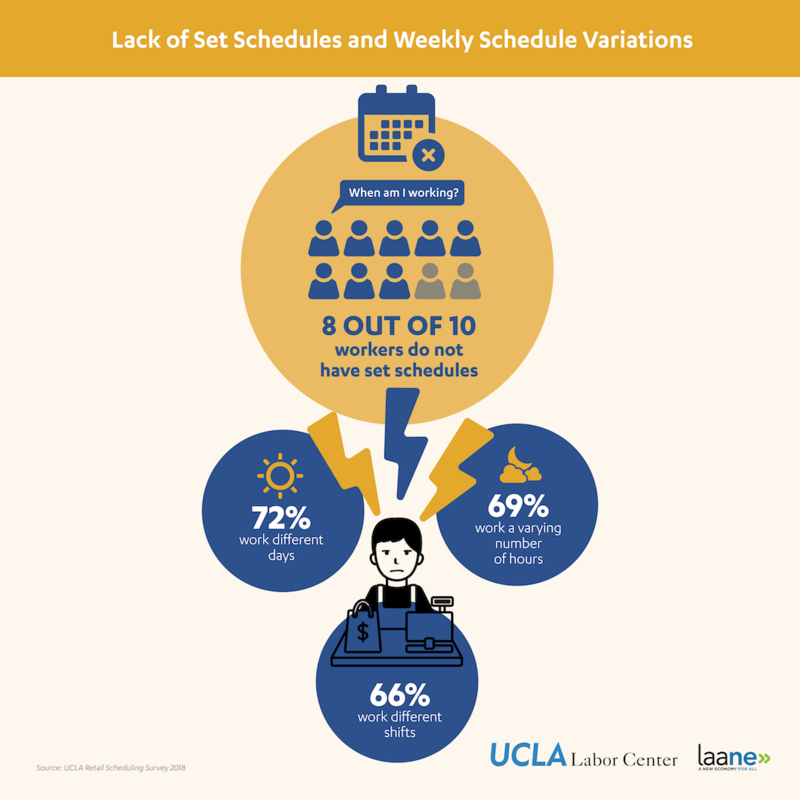 Report authors recommend developing better scheduling standards and work hour policies; partnerships between workers, employers, and policymakers to reimagine scheduling; and using technologies to support fair hours. They also emphasize the necessity of work-life balance, policy enforcement, and expanding research on scheduling practices. 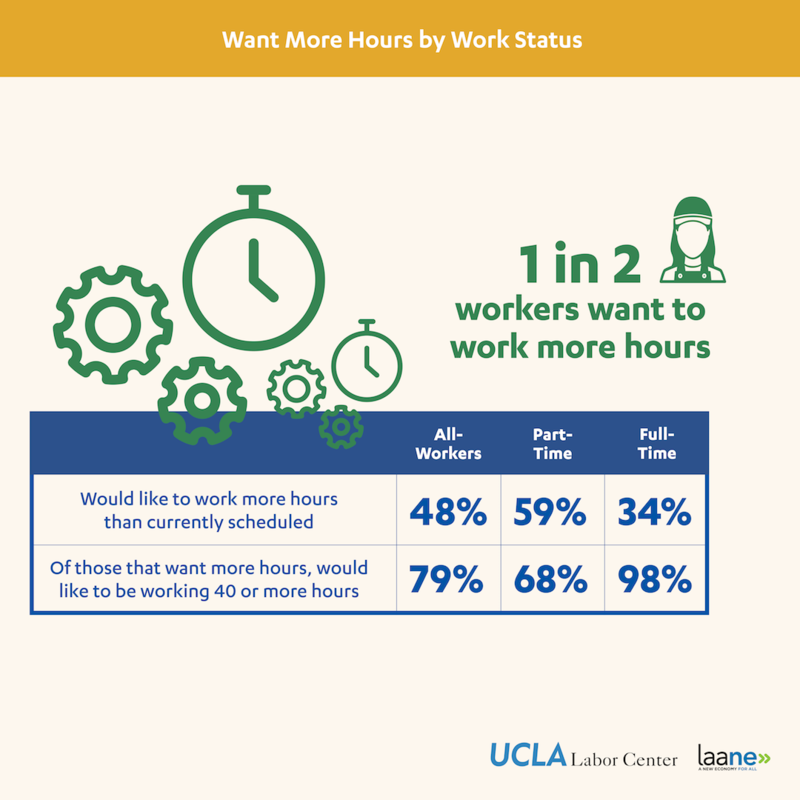 This report was written in collaboration with the Los Angeles Alliance for a New Economy (LAANE).